We want to make this Bonfire Night one which David Cameron will remember and remember for a long time! 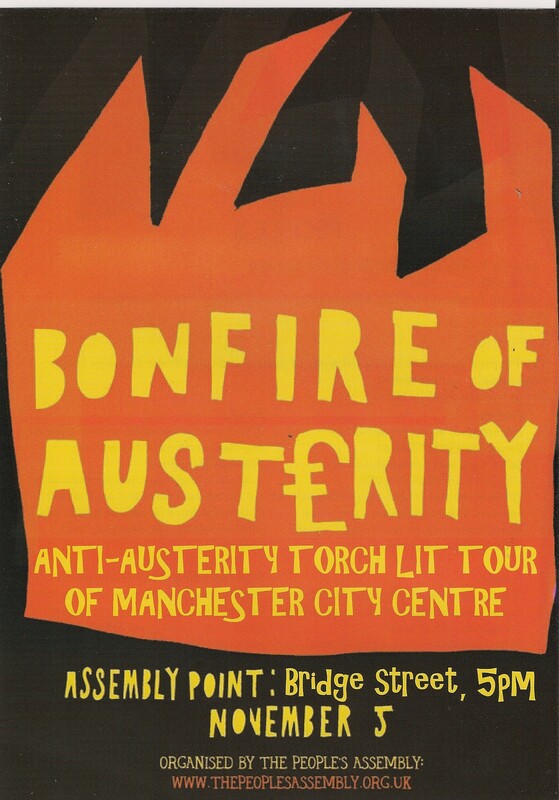 The Bonfire of austerity is a day of protest in every town and city in the country. The actions will be many and various, and at the end of the day a splendid local bonfire¡Kand you can choose whether the guy is Cameron, Gove, Clegg or Osborne. This entry was posted in Activities, Campaigns, Tameside Green Party and tagged Ashton Allotments, Bonfire, Bonfire of austerity, Demion stration, Direct action, tameside green party, Tameside Greens by tamesidegreens. Bookmark the permalink.